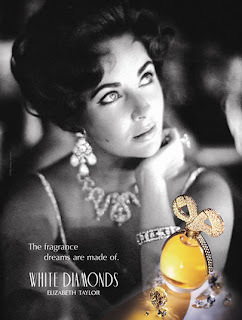 With this "Elizabeth Taylor's passing, one can only hope that her legacy will continue to live on through her fragrances . But how long do you actually have before you can find these items? Although sad but true, these fragrances will be very hard to get your hands on because prices will sore through the roof! Here are some tips on where you can find these soon to be extinct perfumes (White Diamonds By Elizabeth Taylor For Women, Eau De Toilette Spray, 3.3-Ounce ) and which stores will be the most likely to carry them. Try your local drugstores first! You will definitely find "Passion" & White Diamonds there because they buy these items in bulk and if you act this week, you will be able to buy them on sale! Target, walmart & Kmart are other places that you Will find these items, but don't wait past this week because someone like me who is savvy will go and buy them all! And finally, places you can buy these items without leaving the "couch" will be your neighborhood online shopping venue! Places like "Amazon" will be an excellent resource to buy these items quickly and at a fair price, but again you must buy this week as the prices are about to explode! So girls, start clicking! I have provided an easy link on this page to help you get started. Happy shopping and see ya back here real soon!